Caribbean sound of Steel Drum Music accompanied by djembe, bongo & conga drums! Steel Drum or Marimba accompanied by Island Guitar & Ukulele! Flavor of Trinidad & Tobago’s Carnival, Soca & Calypso! Atlanta Steel Pan & Island Music performs: Bob Marley, Jimmy Buffet, Jamaican Reggae, Calypso, Latin, Jazz Standards & Contemporary Music! Island Theme Party music including games & contests: Pass the Coconut, Limbo, Conga, The Hula Hoop Challenge! 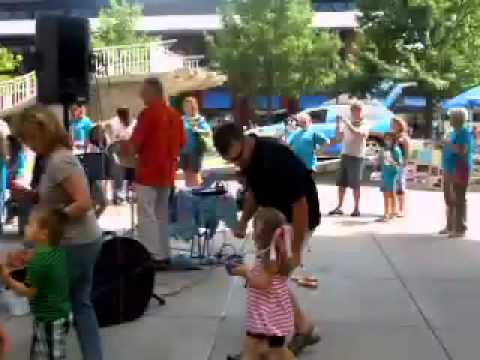 Relax, dance or jam along with the steel drum band! We can also lead your group into a Drumming Circle! Took a little while to get our dates right but after that, these guys took care of everything. On time, professional, great musicians. Have been asked for their number a few times and I proudly gave it out. Will book them again. Thanks guys! Thanks Bill, We love what we do and always put our clients first. It means a lot to get such a wonderful review. I have had the priviledge of being present at several events in the Atlanta Area which Paul was playing! One was the Aquarium, the other Fuego Mundo. The atmosphere on both occasions was transformed into nothing short of magical! People laughing and dancing...moving to music..absolutely enchanting! Paul himself is charming and adored by the crowd! Thank you Paul for your music! I am glad you are in Atlanta! 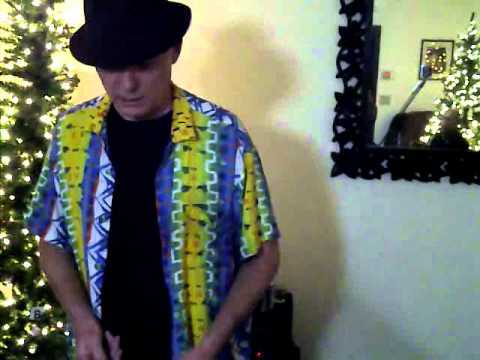 Professional Musician & Recording Artist, Paul Vogler. 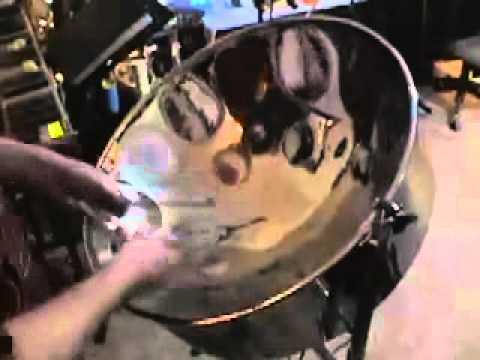 Atlanta Steel Pan & Island Music. One Man Band can include other Instrumentalists & Vocalist. Instruments for "Jam a-longs". Children's Parties. Drum Circles. Google: Paul was Great! Paul added a special touch to my wedding. He played the steel pan during my ceremony and cocktail hour. Both my family and my husbands family really enjoyed Paul’s music. I’ve gotten so many compliments on his performance. He truly made our wedding that much more special and personalized. I would highly recommend his services because he did such a wonderful job. Renee A.
Superpages: A local favorite! 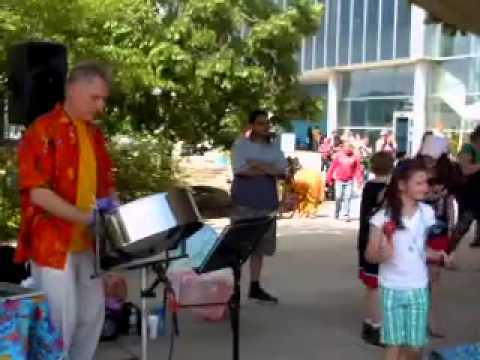 I always get a kick out of seeing Paul Vogler and his Atlanta Steel Drum Band outside the Atlanta Aquarium, at the zoo, on the porch of the Georgian Terrace across from the Fox…. they seem to be popping up everywhere! Every single time there are hoards of folk dancing around, playing shakers and generally lost tin that moment in time, laughing and uninhibited. I have heard this music before, but Paul Vogler’s Atlanta Steel Pan Band takes me back to the islands… All I have to say is: Thank you guys! Look forward to seeing you again soon, and thanks for the sounds of freedom and joy you bring! A Pirate Looks at 40 * All of Me * And I Love Her * Angelina * Banana Boat Song (Day-o) * Boat Drinks * Bob Roberts Society Band * Blue Bossa * Brown Eyed Girl * Brown Skin Girl * Cecelia * Changes in Latitudes * Copacabana * De Party Now Start * Escape (Pina Colada Song) * Girl From Ipanema * Grazin’ in the Grass * Guijara * Hot Hot Hot * I Can’t Help Fallin’ in Love with You * I Shot The Sheriff * Iko Iko * Jamaca Farewell * Jump in a Line * Knockin’ on Heaven’s Door * Low Rider * Maryann * Mercy, Mercy, Mercy * Misty * Moondance * Morning Dance * No Woman, No Cry * Obladi Oblada * On and On * One Love * One Note Samba * Oye Como va * Red, Red Wine * Roots Rock Reggae * Shaker Song * Sittin’ On the Dock of the Bay * St. Thomas * Stir It Up * Summertime * The Tide is High * The Way You Look Tonight * Three Little Birds * Under the Boardwalk * Watermelon Man * Yellowbird * You are the Sunshine of My Life * ...and more! In addition to Steel Drum or Marimba, World Percussion instruments can be included along with Island Guitar and Ukulele & Vocals. Island theme party music can include audience interaction Games & Contests: Pass the Coconut, Limbo, Conga & the Hula Hoop Challenge! Relax, dance, or jam along with the steel pan band! Paul's Atlanta Steel Pan & Island Music Bands' styles range from Traditional Island Music, Calypso, Latin, Reggae, Jazz Standards & Contemporary (including Bob Marley & Jimmy Buffett). 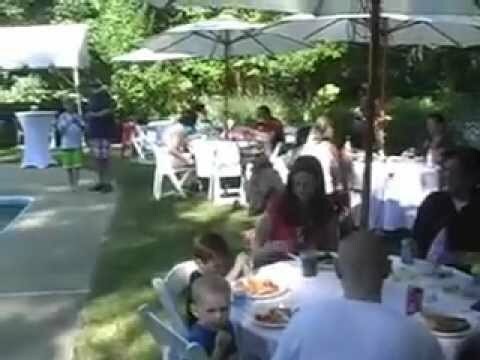 Paul's' adaptable & versatile sound makes your event a hit whether Backyard Pool Party, Festival, Wedding, Reception, Corporate Event, or Dining Entertainment. Venues range from the Governors' Mansion to Opening for Ziggy Marley. Professor of World Music, Music Theory and Percussion & Jazz, Paul is available for Demonstrations and Private Lessons. Have own PA System. Client supplies electricity. Paul Vogler’s musican days began in 1967 as drummer in rock & roll garage band, Jynx. In the mid 1970′s Paul backed up magician Steven Calder & played parties & coffee houses in Washington, DC. In 1977 Paul came home to Atlanta joining Possum Trot, an eclectic/electric bluegrass band. Possum Trot played Burt Reynolds club & cast parties for both Kristy McNichol & Jody Foster. They also played on the sets of Don Knox & Tim Conway’s 1979 movie: The Prize Fighter & and at the famed Alex Cooley’s: Electric Ballroom. Possum Trot were regulars on River Street in Savannah, GA. Possum Trot opened/appeared with The Nitty Gritty Dirt Band, Elvin Bishop & others. I've known Paul over ten years. His technical and musical knowledge are both strong. He possesses an excellent work ethic- and he practices. Paul is a very talented musician who can be counted on to provide a great performance taylored to your specific occasion. Very easy to work with and very dependable. Paul is an excellent musician of high integrity and character. He has provided much assistance in establishing my company. I would recommend him as a top-notch performer and music teacher. As a music teacher Paul has been able to develop three of us at the same time (we all share the sessions) and given us the skills to expand our capabilities. Paul was GREAT! Paul added a special touch to my wedding. He played the steel pan during my ceremony and cocktail hour. Both my family and my husbands family really enjoyed Paul's music. I've gotten so many compliments on his performance. He truly made our wedding that much more special and personalized. I would highly recommend his services because he did such a wonderful job.